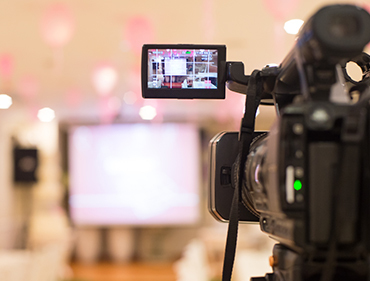 Gone are the days that videos were optional for businesses. Nowadays, videos are considered an essential marketing tool. Customers are hungry for information but they want it fast and video marketing is the solution. You know that your competition is using video marketing to attract customers and so should you! Keep up with them and show the unique advantage you have over them. Studies have shown that video marketing has the ability to effectively communicate large amounts of information in a short amount of time to market your products on your website, on your YouTube channel, and in any other social media sites that your company has a presence on. At Next Marketing Solutions we provide complete solutions from pre-production planning, scriptwriting, shooting, video editing, voiceovers and anything else you can think of. Whether it is an in-studio video with a teleprompter and green room or an on-site shoot, we partner with market leaders and are equipped with the latest technology to bring our clients the best results. Since the cost of producing video is so affordable these days, at Next Marketing Solutions we have been encouraging our clients to take advantage of video marketing both in live and animated videos to communicate their message and brand. From informational or educational videos, to content, sales, testimonial, announcement videos or presentational videos, our team of trusted expertise work with you to provide you the video production solution you require. Our corporate videos are known for being an effective marketing and communication tool. Give us a call for a free, no-obligation consultation to see how we can help you create your next video marketing campaign.